Ex-Formula One driver Jean-Eric Vergne has been confirmed as the fifth driver in CEFC Manor TRS Racing’s LMP2 lineup in the FIA World Endurance Championship, the team confirmed on Friday. The 26-year-old Frenchman joins the previously announced Roberto Gonzalez, Tor Graves Simon Trummer and Jonathan Hirschi in the two-car Oreca 07 Gibson lineup. Driver pairings have yet to be confirmed. It will mark Vergne’s full-time sports car racing debut, after making one-off races in recent years. “Endurance racing and especially the 24 Hours of Le Mans is something that has been more and more on my mind lately,” he said. 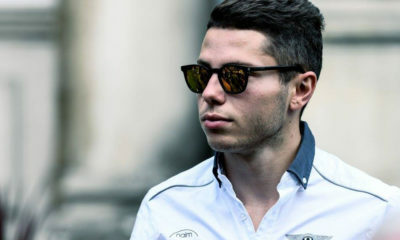 Manor President and Sporting Director Graeme Lowdown added: “He is a very talented driver that we have followed over the years as we have raced alongside him in Formula 1. Vergne could be forced to miss the Nürburgring round due to his Formula E commitments with the Techeetah team, due to the double-header in New York City falling on the same weekend.